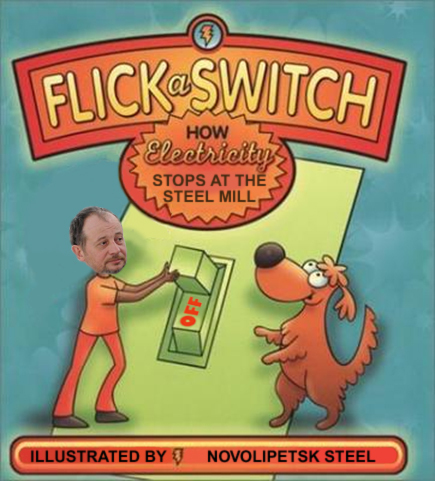 Among the Russian steel oligarchs, none is better educated in his specialty than Vladimir Lisin, who wrote his PhD thesis on metallurgical engineering and another doctoral thesis for a DSc in economics. 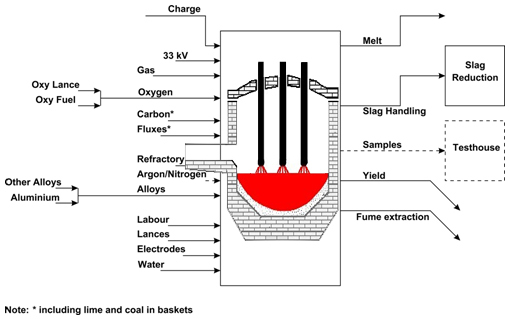 But you don’t have to put that much study under your belt to understand how an electric arc furnace makes new steel out of melted scrap. Does this take six months to replace? A company specializing in transformer repairs says the time required depends on the capacity of the transformer. “If the one that broke down at an NLMK mill is of several megawatts of capacity, replacement could really take up to several months.” The company doesn’t publish the electrical capacity of the transformers at the affected mill, and spokesman Lukashevich does not say what it is. Asked on August 1 whether MMK has resumed production at its EAF’s, Yevstigneva refused to say. Make that a categorical negative. Now incidents happen, and so do accidents. But the invisible hand of the steel market works more obviously — except in the Russian market. When there is falling demand, and the oligarchs do what their balance-sheet requires in order to stem losses, production shutdowns are disguised. Not of course from the steelworkers who are furloughed or sacked; and who know what is happening to them, and why. Rather, the concealment is from the Kremlin on whose goodwill the steel oligarchs’ concessions, debt relief, and share prices depend. In Monday’s share trading, the Novolipetsk stock price went down by 1.1%. On Tuesday it recovered by as much. The trader’s reference to a cutback at Mechel has yet to be disclosed to shareholders or the Kremlin by Igor Zyuzin, owner of Mechel. The company’s latest production report, released on June 29, was for production in the quarter ending March 31. Since then, Mechel has announced production start-ups, including a new electric smelting furnace at its Tikhvin ferroalloy plant, but no production cutbacks.